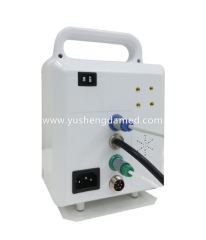 Large LCD display, with backlight, suitable for working in various ambient light conditions. 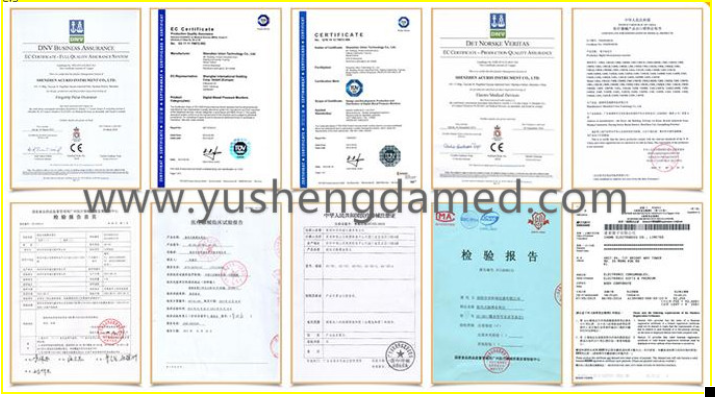 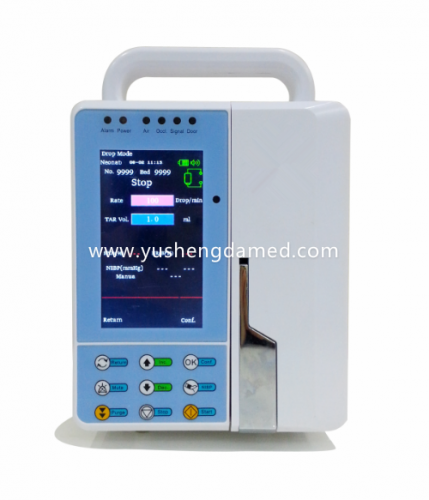 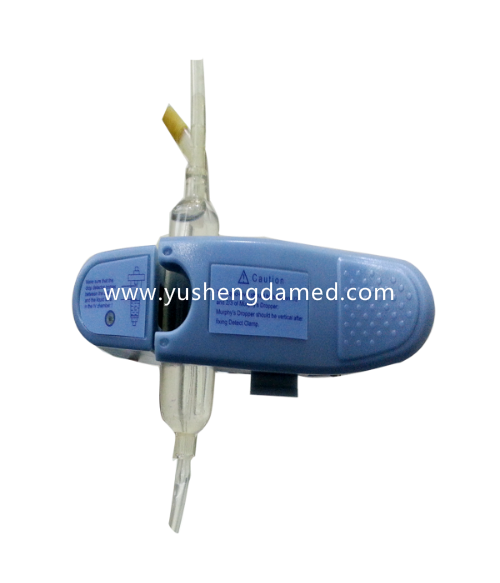 Heating function is optional, suitable for infusing in winter or there is requirement for the medication temperature. 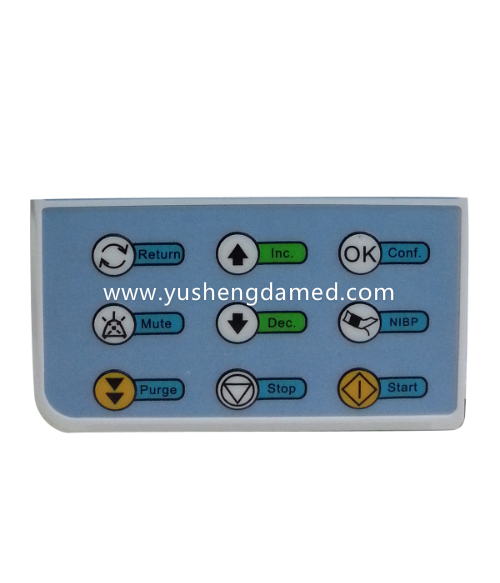 Remote Controller makes operating more convenient. Central monitoring system is optional, the infusing status of each pump is displayed in real time at the central station through wireless transmission. Simple and convenient in operating, in tuitive presence of working status. Alarm: Infusion Complete, Empty, Faulty Signal, Misoperation, Occlusion, Door Open, Air Bubble, Low Battery, Setting Error, AC power off, Idle. 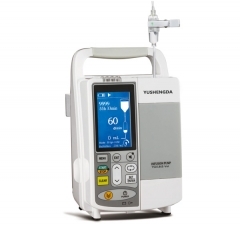 Why we add NIBP &SpO2 to an infusion pump? 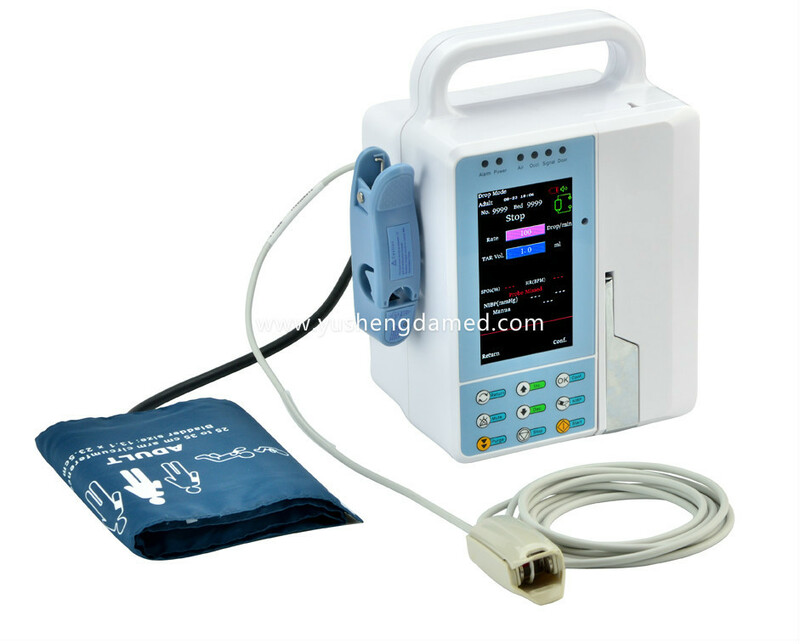 NIBP & SpO2 are the most frequently used vital sign parameters, we make them work as one, to help doctors reduce cost and save space which is already very limited in the hospital room. 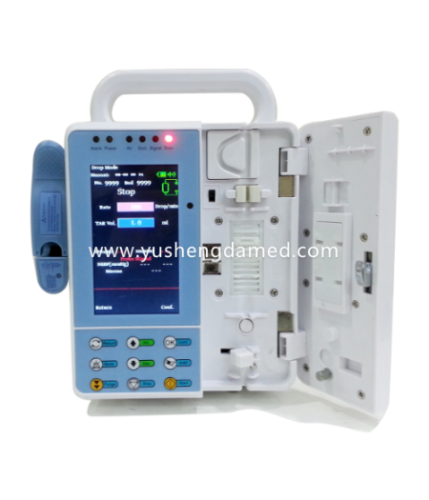 Infusion Complete, Empty, Faulty Signal, Misoperation, Occlusion, Door Open, Air Bubble, Low Battery, Setting Error, AC power off, Idle. 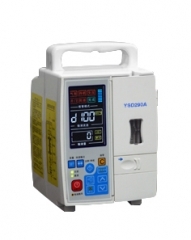 F1AL/250V ("F" indicate fast,"L" indicate low breaking capacity), 2 pcs (installed inside pump). the pump can work more than 4 hours at the flow rate of 25 ml/h after charging for 8 hours (Medium rate specified by GB 9706.27-2005). the status of each pump is displayed in real time at the central station through wireless transmission. 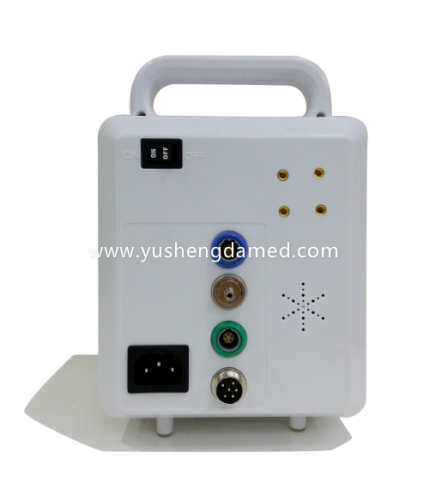 4.3 inch color LCD display, with backlight, suitable for working in various ambient light conditions.